finally found a new home at Shitkatapult. Warren´s album "Requiem for a Missing Link" assembles perfect alternative pop music for the 22nd century. Shitkatapult will now release 4 tracks from the album in alternate mixes as a digital single release "Run Run". 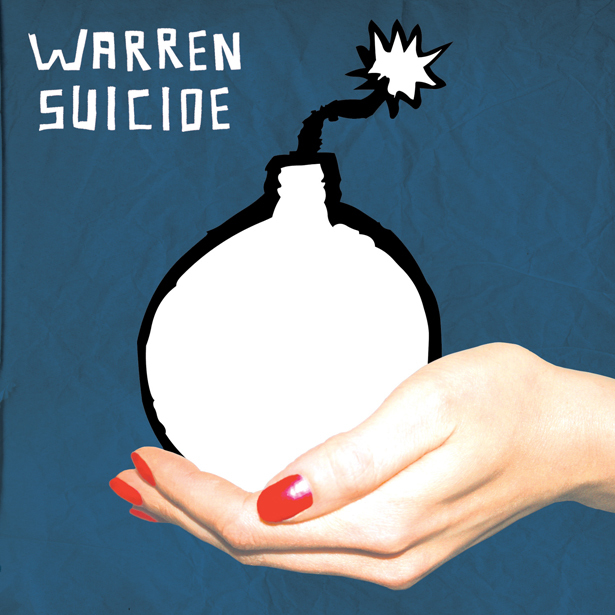 These 4 tracks showcase Warren Suicide´s greatest strengths: perfect song-writing, instrument-merging electronica. The title track "Run Run" appears as a special radio mix by the grand mixing senior of Berlin, Moses Schneider! Famous German bands such as Tocotronic, Beatsteaks as well as T.Raumschmiere (due to his upcoming album in fall 2008) worked with Moses for their album recordings and final mixings. The "Run Run" edit by Moses Schneider pushes the dirty elements of the original recording while driving the whole mix into more pop areas. Paradoxal? Yes, this is Moses. "The Matter" appears as a T.Raumschmiere edit - and he has done a good job with editing only very few elements, cutting guitars, riding the arrangement. The alternate take of "Land of the Free" is made by Warren Suicide themselves. The final track "Home" is presented as a kind of unplugged version by the Berlin String Theory: it's a great big project of Warren Suicide with Yannick (the party arty) and Ben Lauber - a great homecoming of sweet vocals, brilliant string arrangements and passionate love for music.